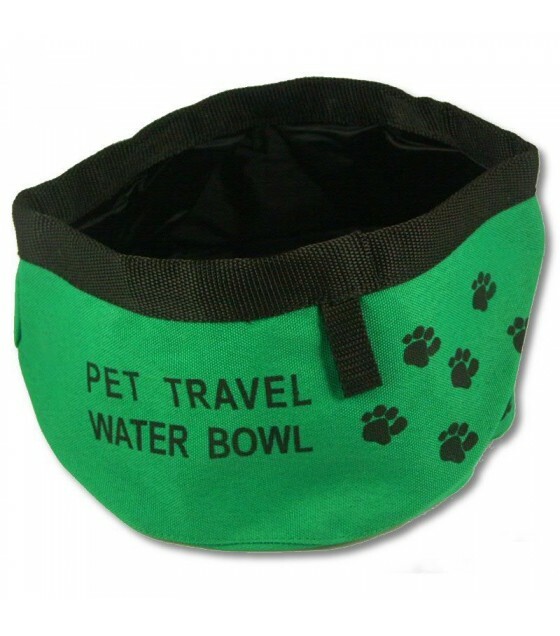 Collapsible dog bowls are great for trips and long walks. 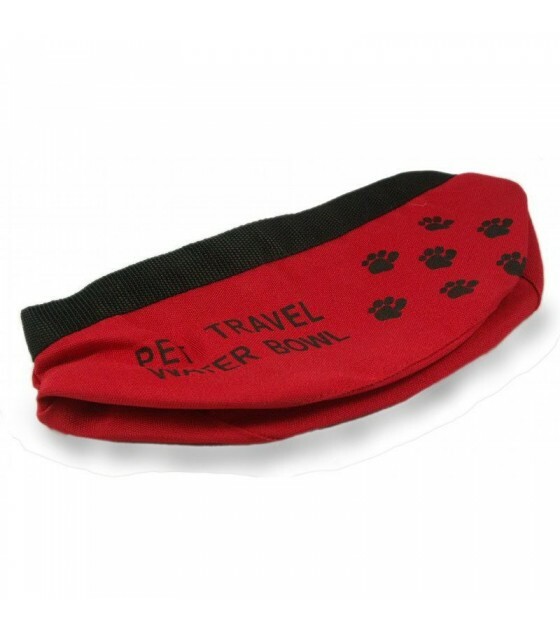 Keep it folded in your glove box or back pocket then take it out when you are ready. Use a water bottle or a public water fountain to fill it with water. 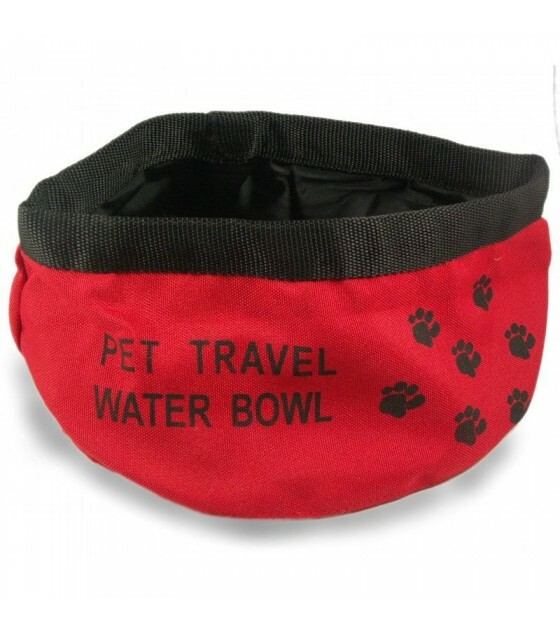 Great for kibble too. You can wash it in the washer, line dry. Holds 4 cups of water. Folded once it is 9 x 4.5 inches and flat.